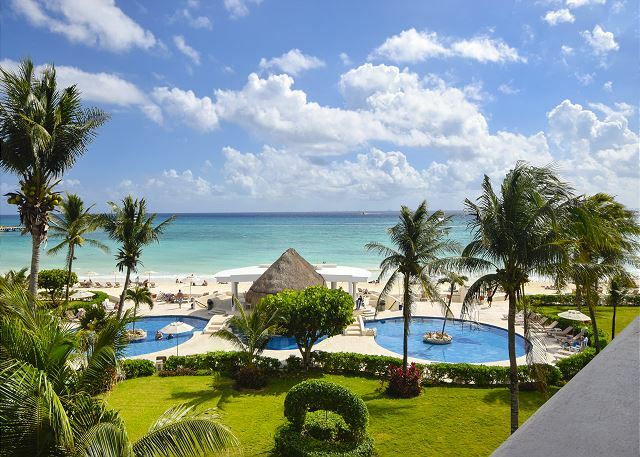 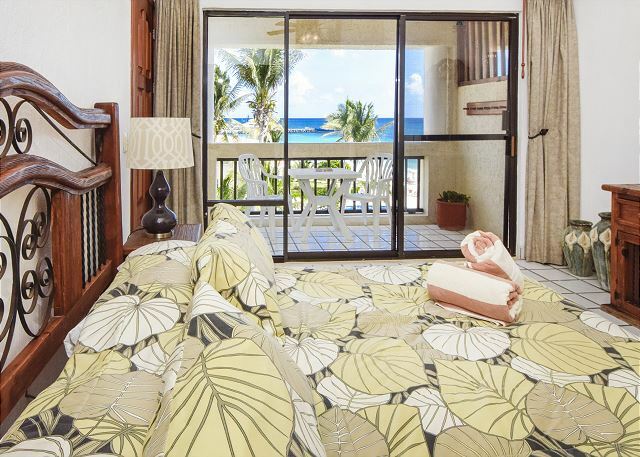 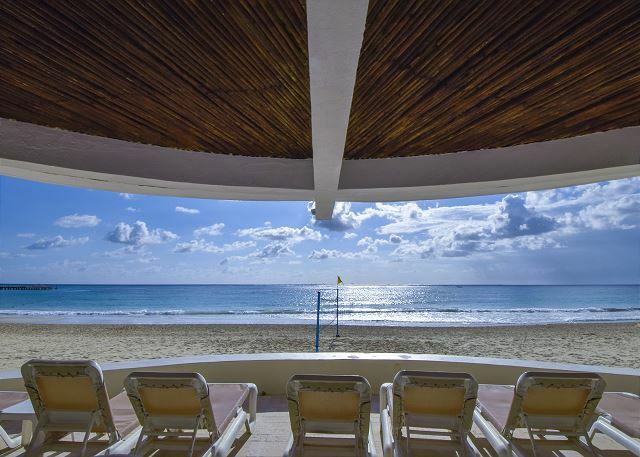 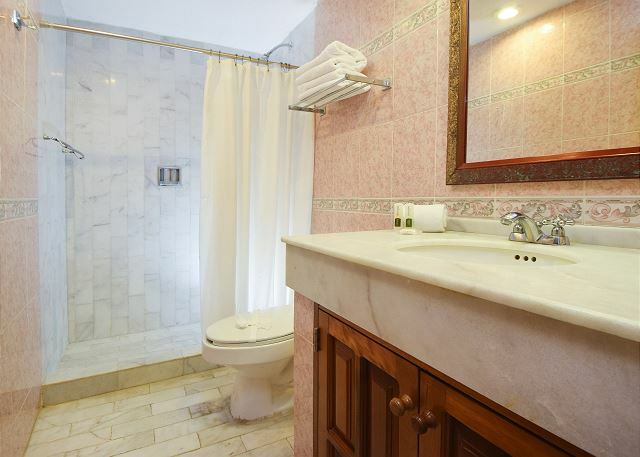 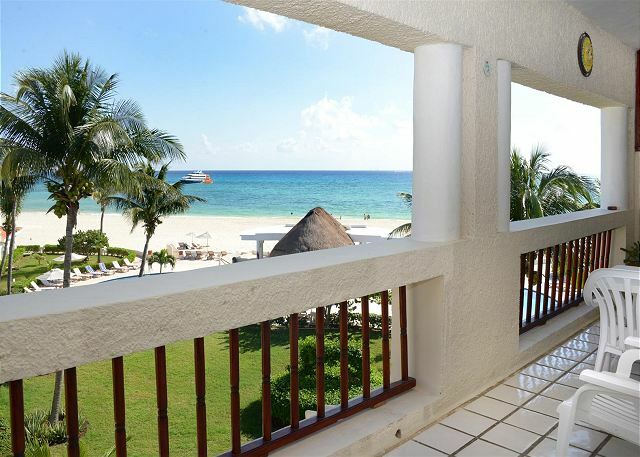 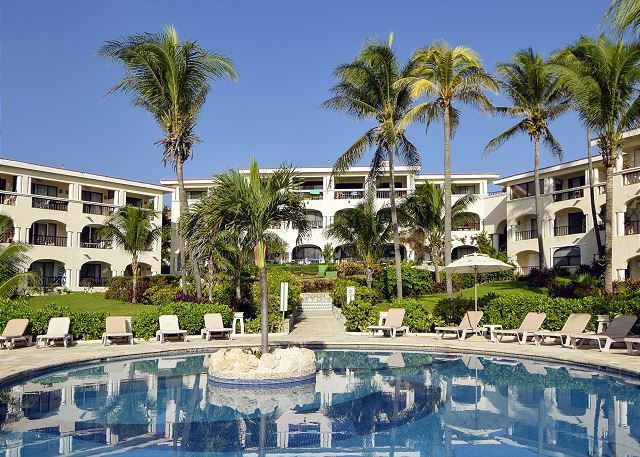 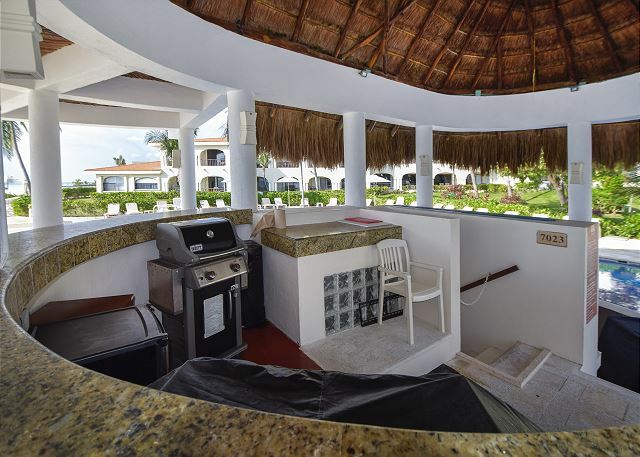 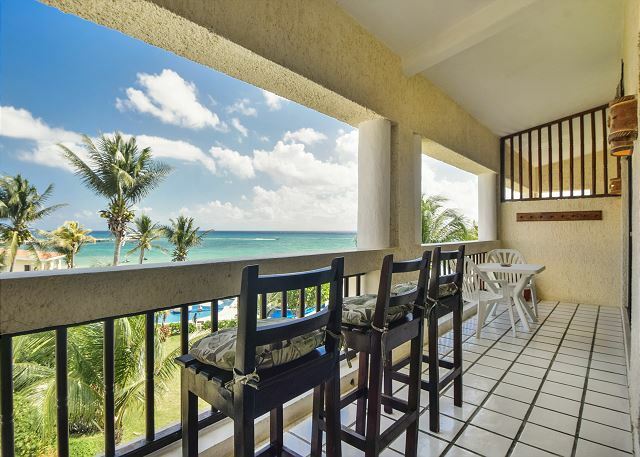 2 Bedrooms, 2 Baths Beach Front Condo is located on the top floor with spectacular views of the luxurious pool, the beautiful beach and the lighted city skyline of Cozumel at night. 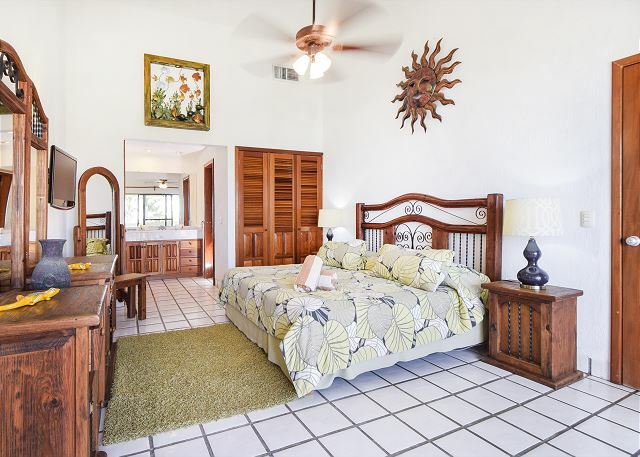 You can enjoy sunrise and sunsets from the double balcony that leads off of both the living room and master suite. 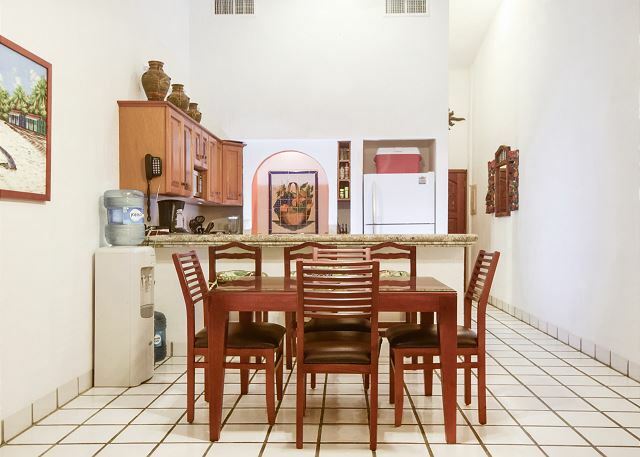 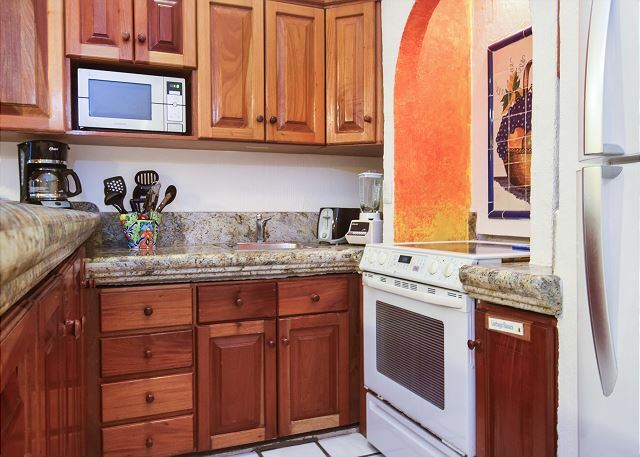 The kitchen is fully equipped so you may prepare and enjoy your own meals. 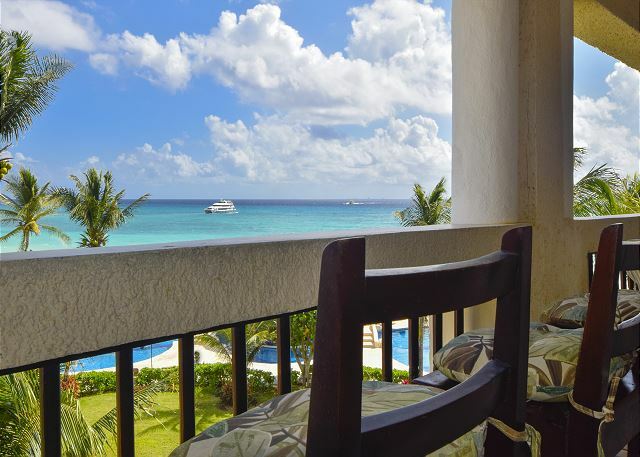 Begin your day with breakfast on the balcony, lunch poolside and dinner out at one of the many restaurants of 5th avenue, just a few blocks away. 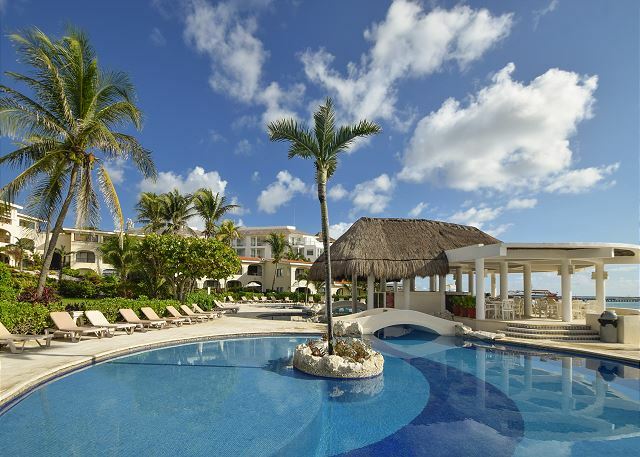 Spend your day out by the pool or relaxing on the beach. 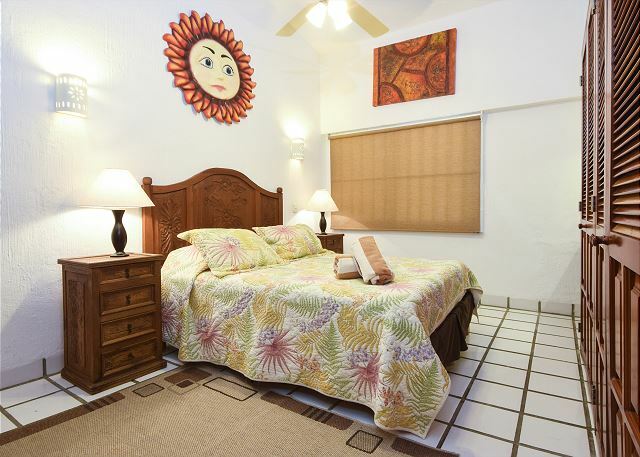 Enjoy a day of shopping on 5th avenue or visiting one of the many tourist sites nearby. 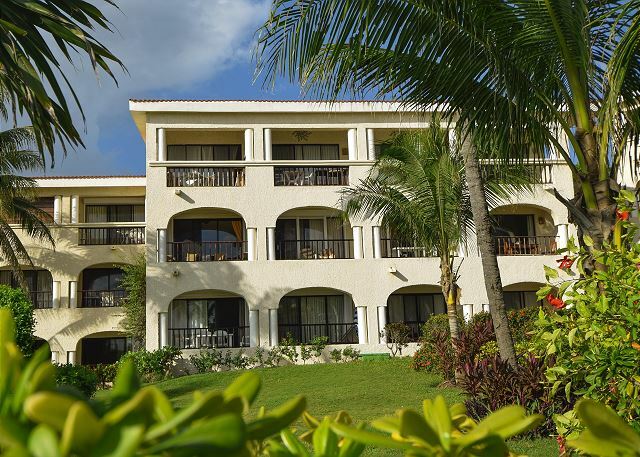 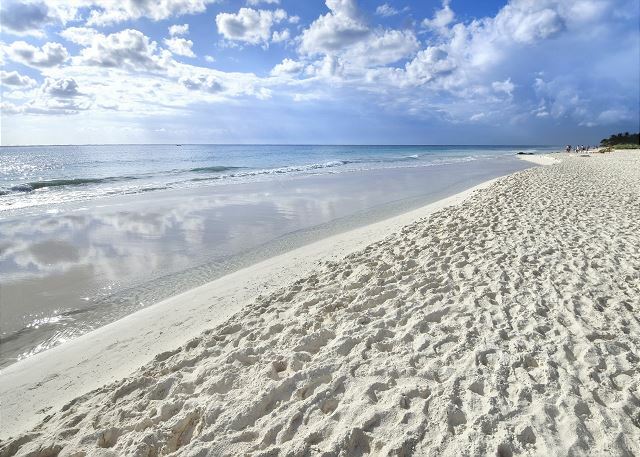 Another option is taking the ferry which is a short walk away, over to spend the day, snorkeling, scuba diving, fishing, shopping or site seeing in beautiful Cozumel. 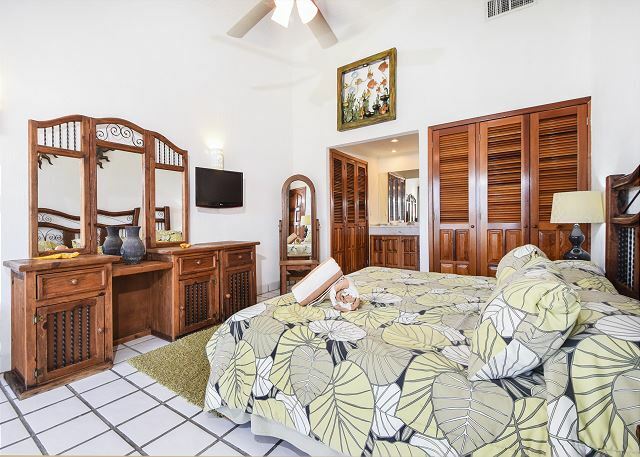 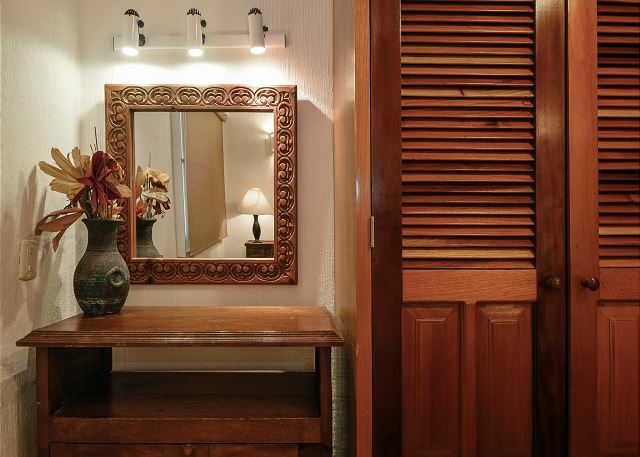 This suite with cathedral ceilings is nicely decorated and has a relaxing atmosphere. 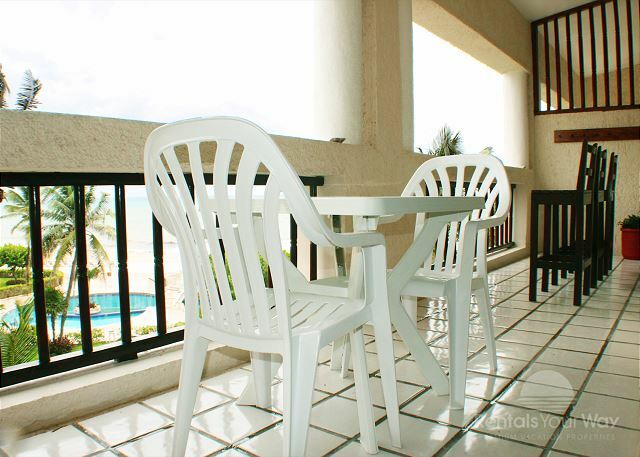 Wireless internet and a Vonage phone is provided in this unit.